What do Justin Bieber, Lady Gaga, Chamillionaire and American Airlines all have in common? 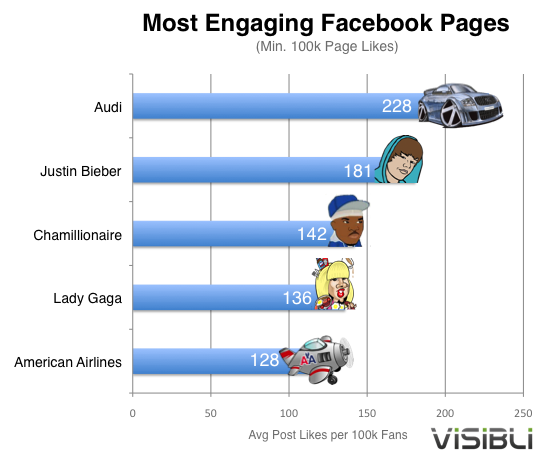 According to a study by the social media analysts at Visibli, all of these "brands" have less engaged Facebook fans than Audi. 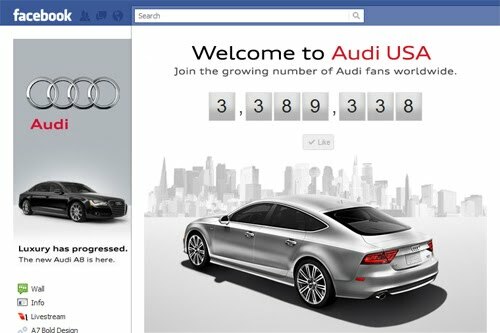 In fact, after studying more than 200 million users and pages with over 100k "likes," Visibli found that Audi has the most engaged fans on Facebook.